Addressing students and engineers, but also hobby engineers, this practical guide will help to easily and cost-effectively implement technical solutions in home and installation technology, as well as small-scale automation solutions in machine and plant engineering. The book descriptively illustrates how to plan LOGO! 8 projects, develop programs and how to select the hardware. Standard control technology scenarios are demonstrated by building on the fundamentals of modern information technology and with the help of several real-life sample switches. 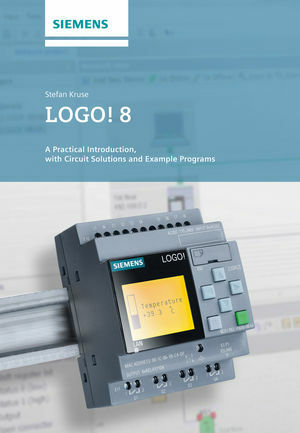 In addition, readers are provided with practice-oriented descriptions of various basic and special LOGO! 8 modules with which specific tasks can be very flexibly implemented. Compared to former generations and competing products, LOGO! 8 comprises an integrated Ethernet interface, easy Internet control, a space-saving design and also more digital and analog outputs. The basic and special functions of the logic module can be used to replace several switching devices. Equipped with an Ethernet interface and a Web server, LOGO 8! devices offer more functionalities for remote access via smartphone or other devices. With the LOGO! Soft Comfort V8 software, program and communication functions for up to 16 network users can be conveniently programmed and simulated. Stefan Kruse teaches electronics and educational science for engineers.